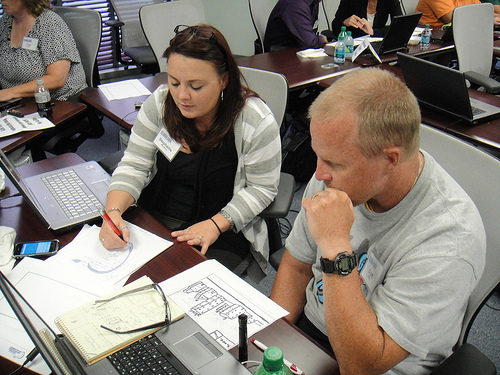 At we start the 2011-12 school year, Globaloria once again grows exponentially, reaching over 2000 youth in 58 schools and community centers led by more than 70 educators and facilitators and 60 school and community leaders in five states. This marks a more than 20-fold growth from the 87 students and 13 educators who launched Globaloria in just seven schools in West Virginia only five years ago. This year, we focus on ushering Globaloria to a statewide integration in West Virginia, and schoolwide use of Globaloria at EACPA in Texas. We are building new usage models in Silicon Valley, California, in Hillsborough County, Florida, and at the National Jazz Museum in Harlem, New York. These active demonstrations across the nation are replicable and scalable models for empowering and equipping youth with digital literacies and STEM knowledge. 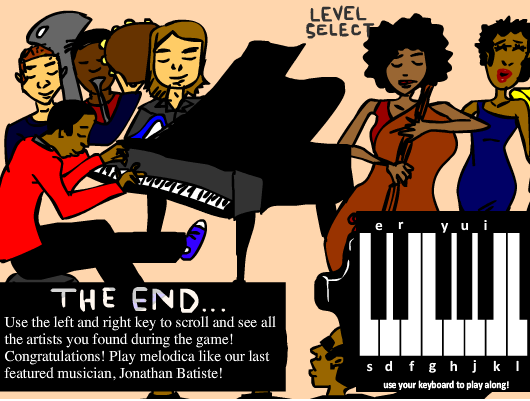 On August 12, Globaloria-Jazz Summer Workshop participants, 11-18 years old, presented their game demo, "All That Jazz," at the National Jazz Museum in Harlem. 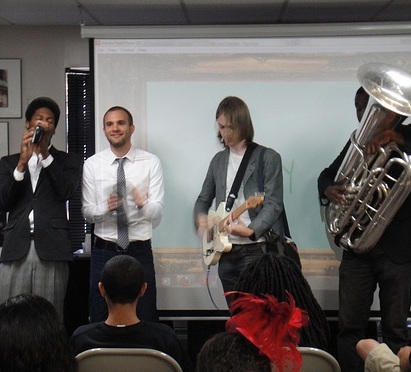 The afternoon was filled with creative energy and live music by Jon Batiste, Globaloria-Jazz facilitator, and his band. "All that Jazz" teaches players about jazz musicians, styles and various instruments. Players move through nine levels trying to save jazz music from evil robots. “It was amazing to watch this team, and work with kids who would have never come together otherwise. 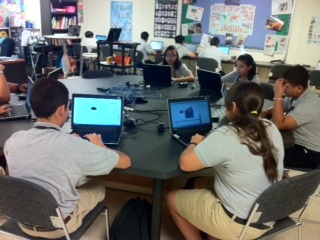 They engaged in a collaborative and meaningful experience about jazz through playing music and learning how to design a web game," commented Yvonne Martinez, Production and Program Coordinator at the Workshop. 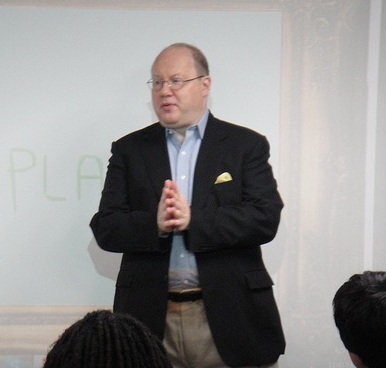 “I had great fun helping them put their game pieces together!” See photos from Demo Day! At the same time, in Hong Kong, Globaloria research partner Dr. Rebecca Reynolds of Rutgers University, presented at the Computer-Supported Collaborative Learning Conference (CSCL 2011). The conference is committed to sharing practices that can bring changes to education systems by informing education policy. At a full-day workshop for CSCL researchers, Dr. Reynolds and Dr. Sean Goggins of Drexel University presented their research on student collaborative activity that occurs through team work as they use the Globaloria Network’s learning environment. “Globaloria is one of the leading programs integrating intensive wiki uses into its curriculum fostering student inquiry, resource sharing, project management and presentation of work. It was exciting to present our data which was well received by the digital media and learning community,” commented Dr. Reynolds. 5. In Honor of our 35th Issue, Please, Give Us Your Feedback! This newsletter is our way of documenting and sharing key initiatives and advances each month. We want to make it as interesting as possible to our readers – our partners, funders, and friends. Please give us 5 minutes and your honest feedback on these 5 questions. Thanks! In less than 45 minutes, you can learn with Shannon Sullivan, Vice President of Programs and Production, what Globaloria is and how it works in schools. Please pass this along to anyone interested in a dynamic Globaloria overview. Register here for the event (hosted by Adobe).